Fire is one of the biggest risks to any commercial building. It can destroy inventory and put lives at risk. It can also spread to other buildings and cause damage to an entire neighborhood. Because of this, fire codes are one of the most important building regulations for any commercial structure. Here is a look at some of the things that are involved in fire compliance. The rules that a building must follow are in line with the year it was built or last renovated. Some of the building requirements in new buildings have to do with ventilation, installed sprinkler systems and proper building materials. The specifics can vary from area to area, so it is important to check your local building codes when you are renovating or building a new structure to ensure that you are in compliance. Another important part of fire compliance is the correct extinguishing system. Each floor must have enough smoke alarms and extinguishers of the correct size and type. They must be easily accessible in a common public area. Rooms that are more likely to have fire, like kitchens, should have an extinguisher. There should be a fire alarm outside of all bedrooms in a residential building. Again, you can look for more specifics in your local municipal building codes. During a fire, anyone in the building needs the ability to exit safely and quickly. This means that doors should be able to opened from the inside, even when they are locked from the outside. Doors should also open out to allow crowds to push out quickly. Stairwells should be open to anyone as a common exit method since elevators are not safe during a fire. All exits should also be ADA compliant to allow those in wheelchairs to be able to safely leave without the assistance of others in the case of a fire. Different locations may have different needs regarding fire compliance. This will change based on localized risks and rules. The best way to discover the specific needs for your building is to work with the local fire department. They can help to find places that are at risk of not being to code, and to help you troubleshoot ways to make things safer even beyond what the rules suggest. USI provides fireproofing and fire stop systems installation. Across the U.S., sprayed fireproofing is required in a large number of commercial buildings to prevent or delay the failure of steel and concrete structures exposed to fire. The materials are intended to insulate the array of structural members during the event of a fire, significantly delaying any loss of the integrity of the structure. For commercial and multi-family residential buildings, a fireproofing system from USI provides excellent fire resistance to help prevent losses caused by fires. This state-of-the-art technology can save lives and prevent property loss. USI also provides fire stop options that can make any building — new or existing — safer for tenants while also limiting property loss from a fire. 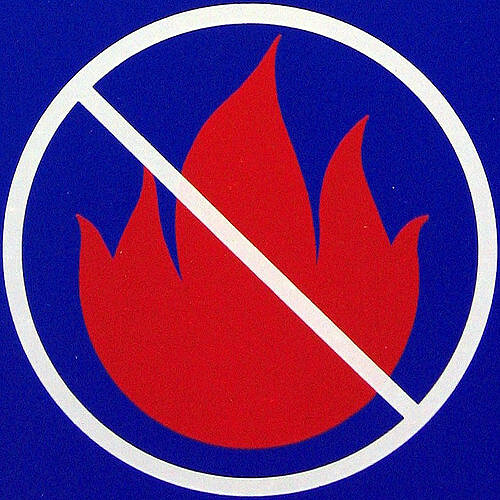 Proper fire stop and smoke seal of fire-rated walls, floors and ceilings, as well as penetrating items through rated walls, helps extend the time to safely evacuate a building in case of fire. Maintaining proper fire and smoke barriers also reduces fire and smoke damage. USI specializes in the selection and installation of the appropriate fire stop and smoke seal systems for new and retrofit projects. We offer professional installation and extensive knowledge of fire stop systems to every builder and building owner. For more information about making your building fire compliant or to learn about insulation, contact USI online to find a branch near you and get a free quote. USI believes in excellence in every step of the process and ensures timely completion and quality of service, time after time.